Perhaps a desire to get out of town has put busses on my mind. Last week we went to Michigan to learn about The Detroit Bus Company and today we're going to talk about the Hugmobile. 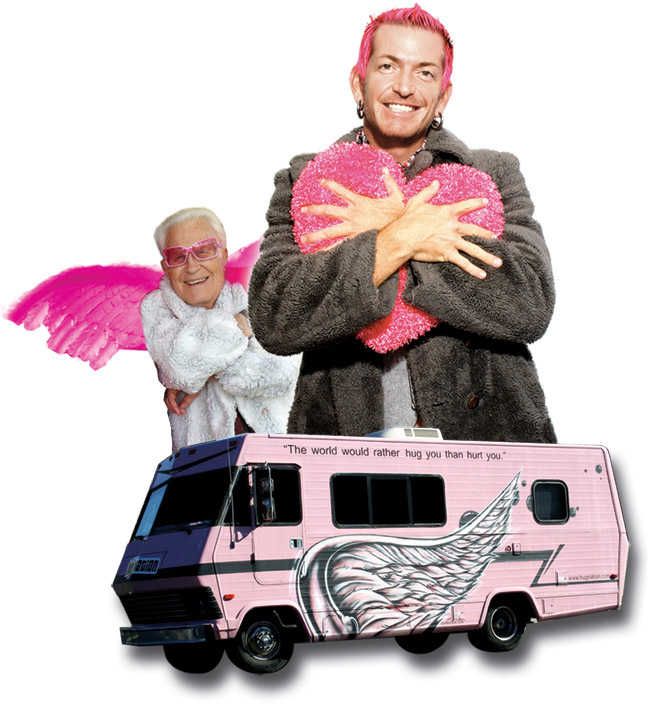 Those of you going to Burning Man keep your eye out for the Hugmobile - though a giant pink RV shouldn't be that hard to find. 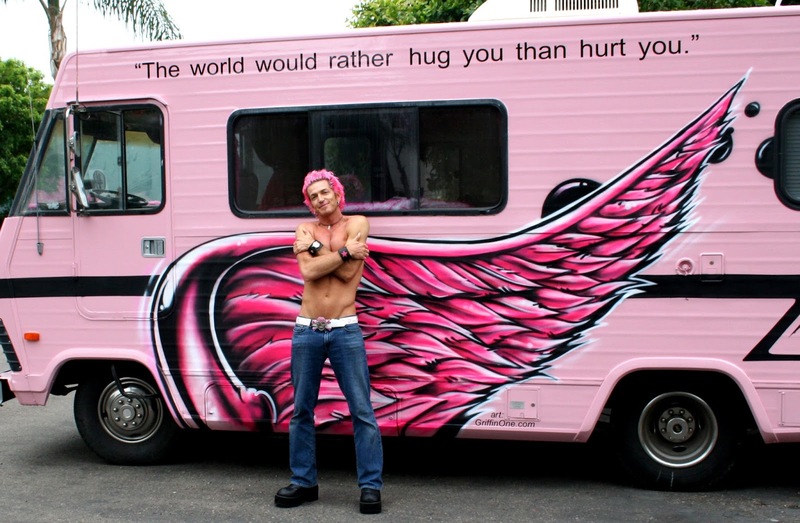 It's the way John "Halycon" Styn gets around to spread his Hug Nation message. That message - "The world would rather hug you than hurt you." Hug Nation is a webcast John founded with his grandfather, the extremely optimistic Reverend Caleb Shikles. Their goal was to have a weekly, world-wide virtual group hug. Although Rev. Shikles passed away in 2007, the Hug Nation broadcasts continue and John takes his message to Burning Man every year. You can watch an inspiring Tedx talk about gifting and gratitude on YouTube, watch their live broadcasts, and/or like the Hug Nation on Facebook to stay in the loop.